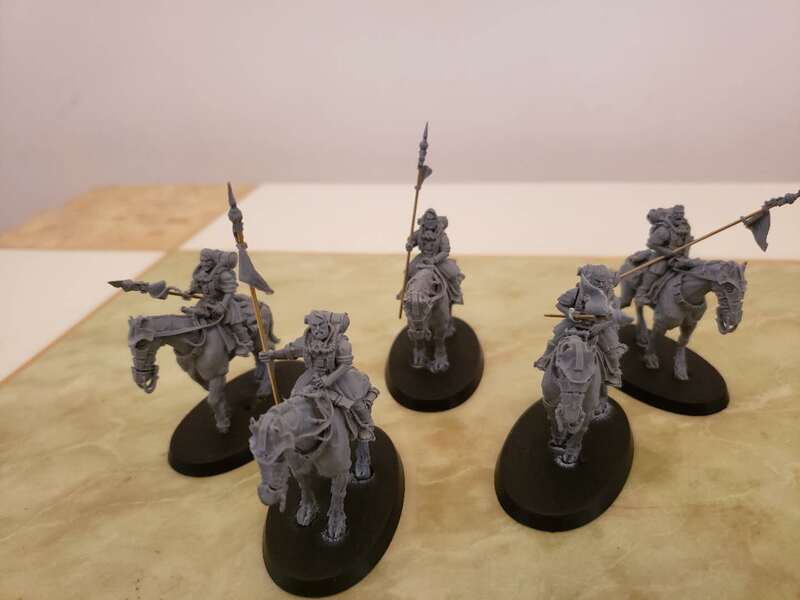 Welcome to my very ambitious project log, where I attempt to do something I've been wanting/waiting to do for several years: an Astra Militarum Cavalry company. 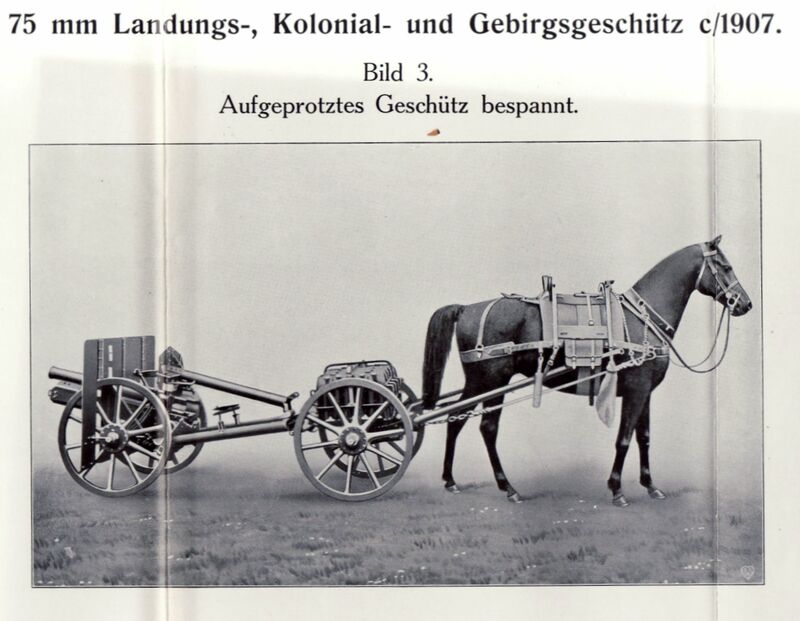 NO NOT THOSE MECHANISED BOYS, PROPER CAVALRY! 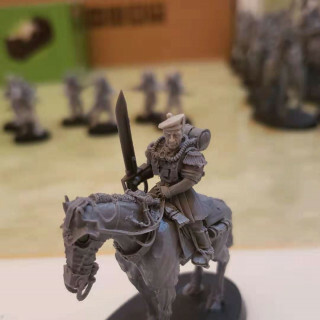 Developments in my own painting and modelling skills over the last few years coupled with Forgeworld's incredible Death Korp Death Rider kits has made this ambition an attainable reality. From then it took a long time to come back around before I came to the decision what regiment? 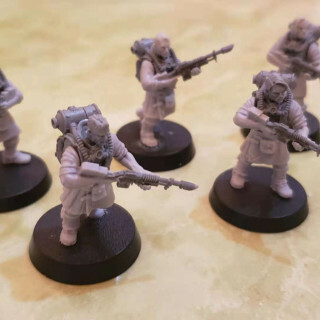 Drookian Fen Guard that took it. 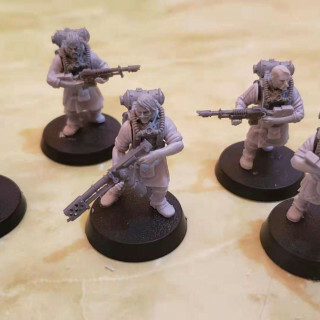 The Drookian Fen Guard first came to everyones attention with Victoria's golden daemon squad, proudly wearing their kilts, with beautifully freehanded tartan. They portray both the grim dark future, and maintain that real human element to them, something a lot of regiments loose. 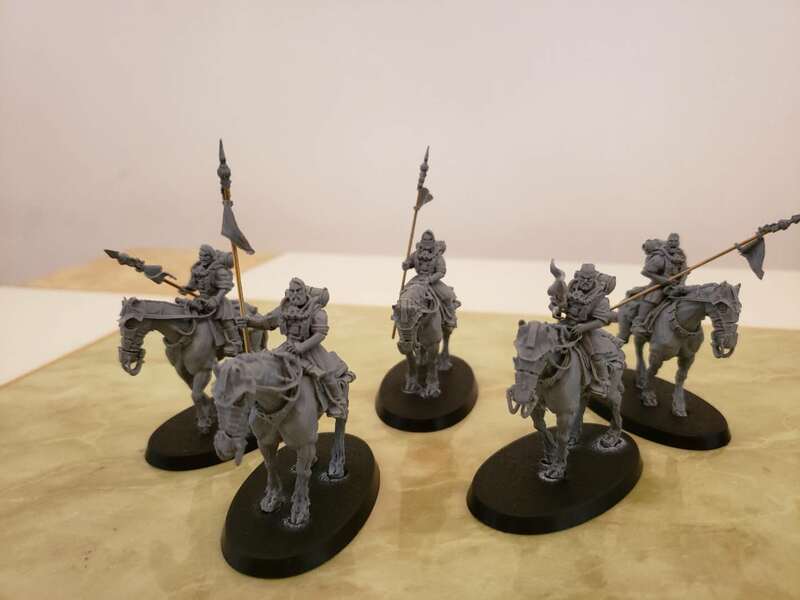 I understand they are the faceless regiments of the imperial guard but, that is something I really want to show, that human cost aspect. - Extensive (and exclusive) conversions. - Green Stuffing icons and insignia. As you can imagine with a project of this size, a lot is required. It takes Games Workshop years to produce theirs, and they have all their very talented members of staff. I have myself, and hopefully a supportive and encouraging hobby community to drive my along. 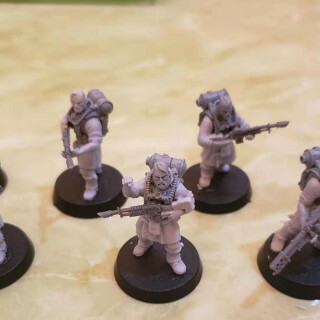 What I really want to show is the human side of the Imperial Guard. 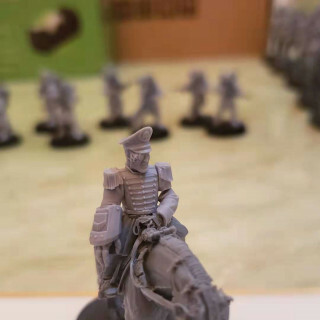 Unlike any other army I have attempted, to create this army has required so much preparation work. 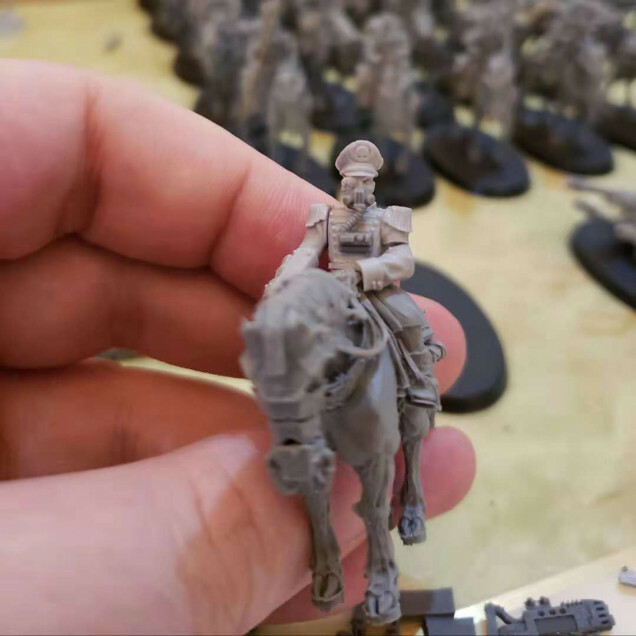 A lot of details needed to be decided ahead of time so that expanding the army wouldn't throw up annoying difficulties from rushed planning. 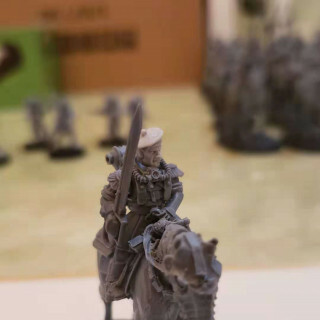 Well I have a lot of Rough riders to build. 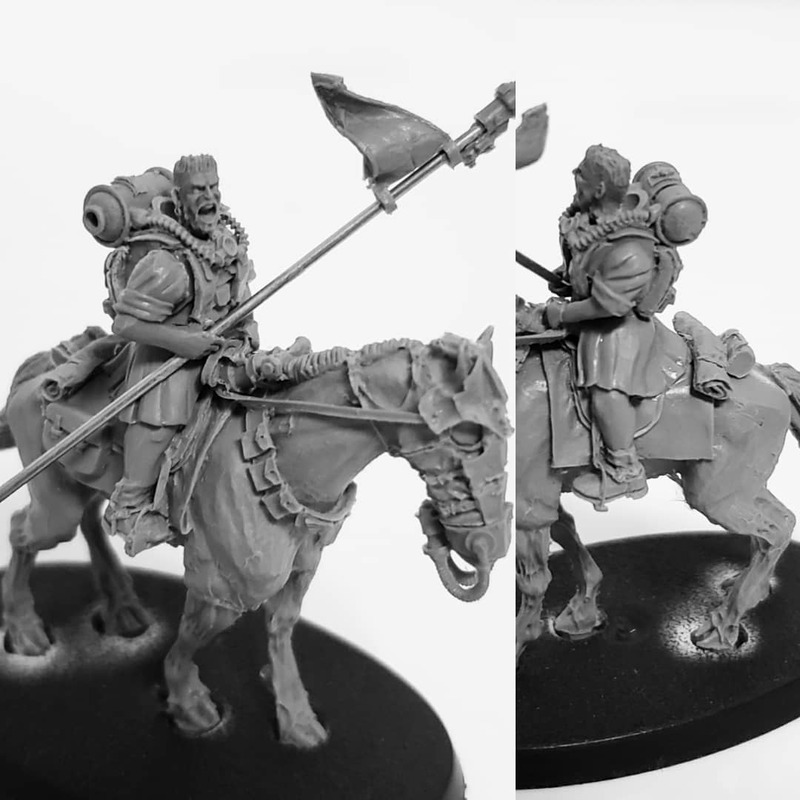 I am still waiting on the required number of bases, as well as the brass rod to build them all. Also my drill broke meaning a few days delay there. Last edited by Minigiant; 09-08-18 at 09:36 AM. 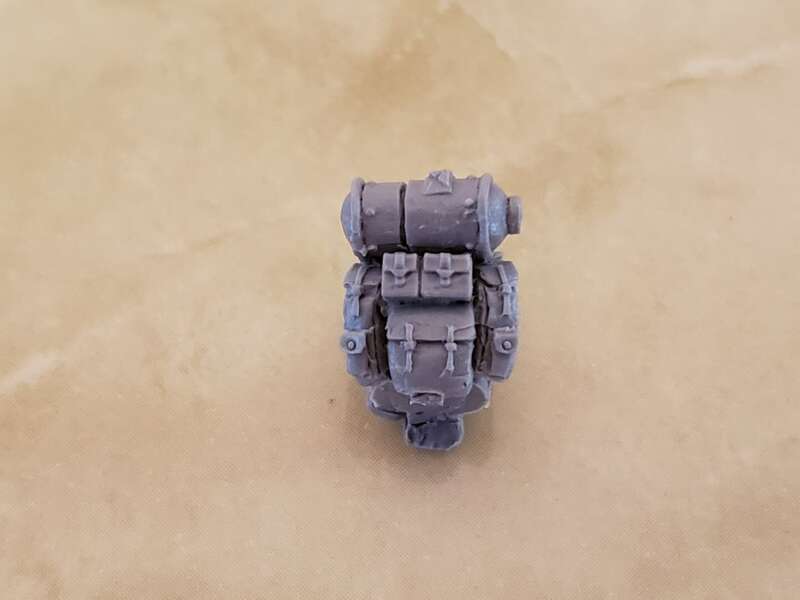 Casting has finally finished and I can begin what I know will be a long slog to building a full company. I believe the conversions I have along the way will be a great way to change it up every so often to maintain enthusiasm. 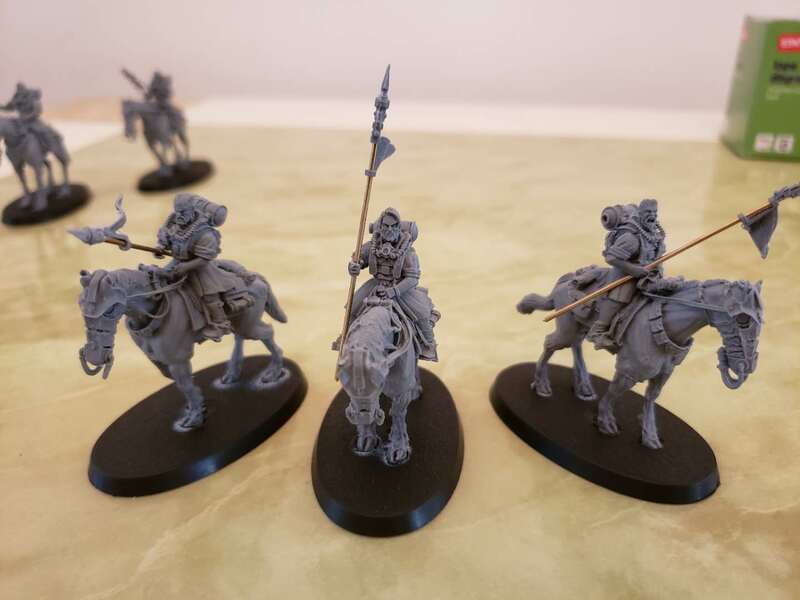 It came to my attention that I rushed my photographs of my new Fen Riders, and that just cannot do. This is where I am at the moment. 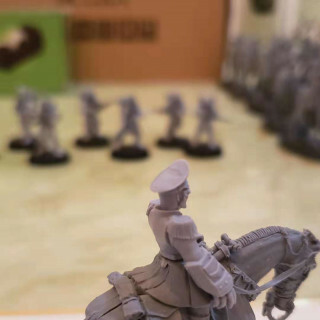 Fifty Fenriders have been built, minus heads on 25 of them as I wait on a big order from Puppetswar. The Bigger bases in the middle will be used for my Tow Guns (Heavy Weapons Teams). Next is the greenstuffing which I know will take a while as well as some more general clean up of the model. 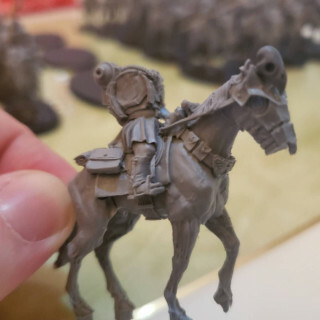 I started toying with the idea of a fancier head dress for the mounts of my command squad (I already knew my mounted commissar conversion will). I also already have plans for the actual rider. What do you think? I'm not sure about the skull on the headdress. It doesn't really fit the feel of the model. 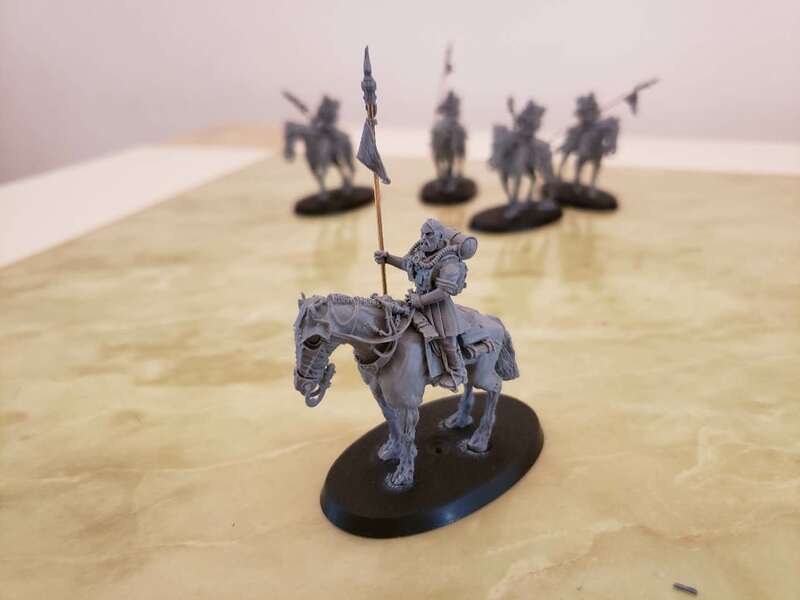 What about just painting the command squad a different colour instead of sticking something extra on it? As of my last update, my plan was to continue the long arduous process of greenstuffing, filling gaps, filing, and mold line removal. While breaking up the monotonousness of that by working on my conversions. 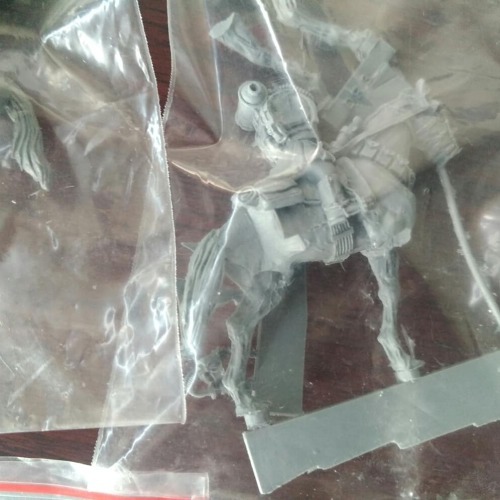 Unfortunately the parts required for those conversions only arrived on Saturday afternoon (24/11/18). 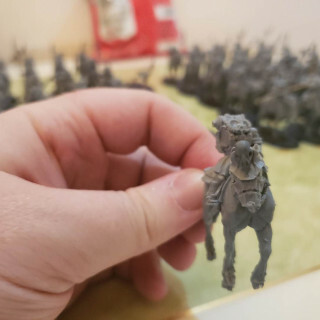 You have already seen these heads on my cavalry. 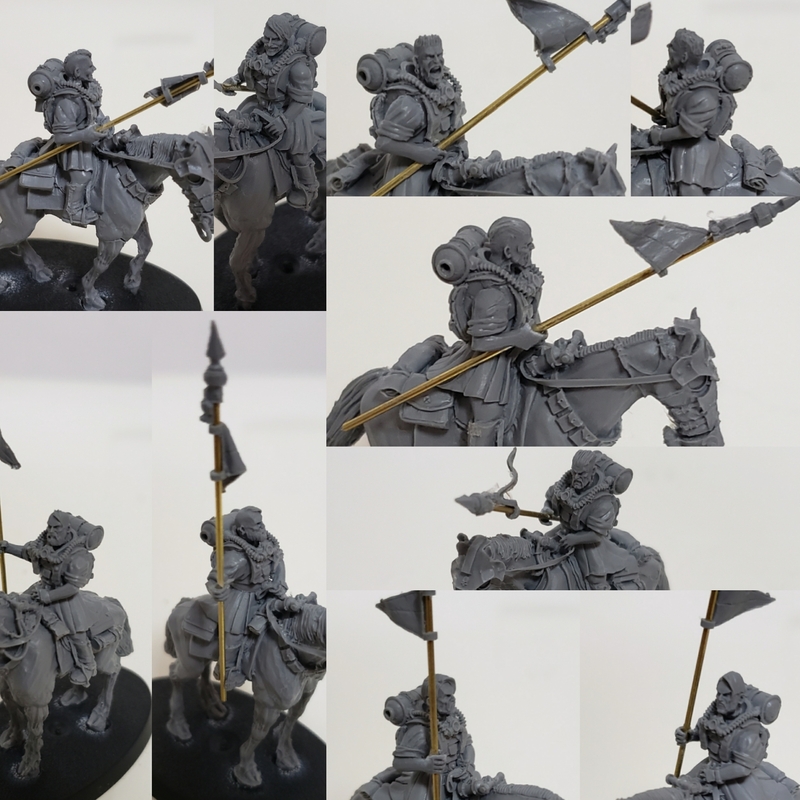 Puppetswar cast great quality pieces and I would happily recommend them to anyone. They are currently renewing some of their lines, and the line I invested in is going/gone. 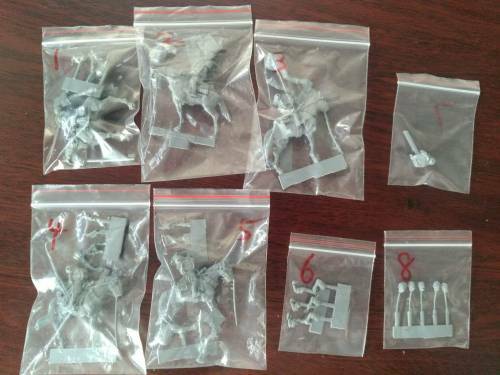 (Good thing I own 200 of those heads + my altered versions). The replacements can be found here. I ran into some difficulty in getting these pieces that I didn’t foresee. They do not send worldwide so my parts had to be shipped via somewhere else. The quality of the casts are fantastic. 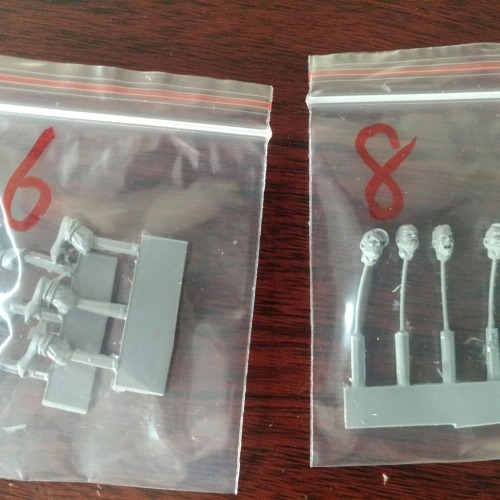 How they are attached to some of the sprues could cause problems for inexperienced hobbyists. The rolled sleeve arms can be found here. 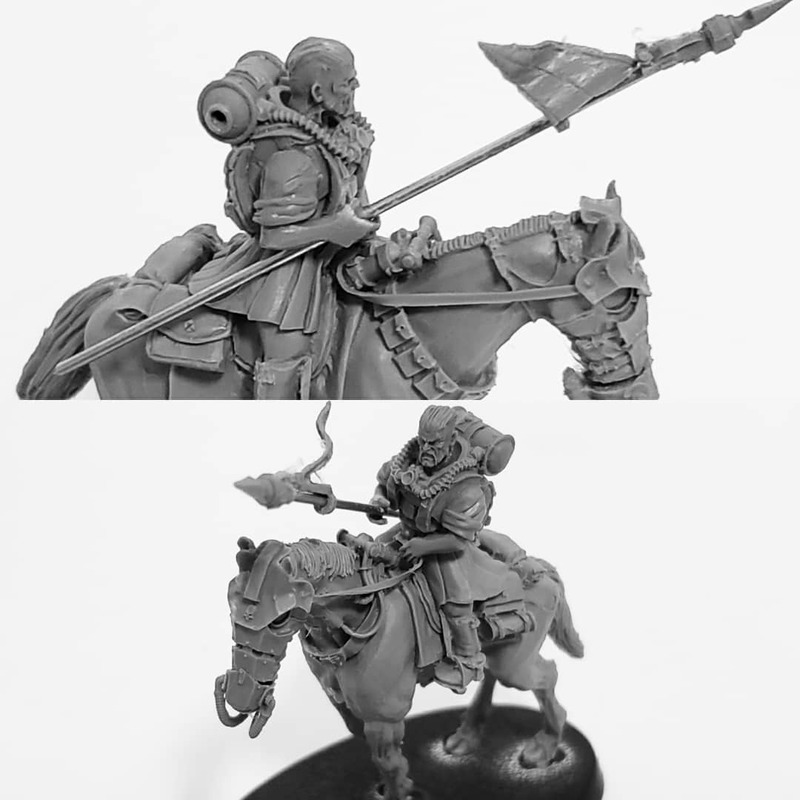 Victoria Miniatures could be argued to be the most well known 3rd party part supplier. I would like the quality to be slightly higher but the quality is certainly not bad. Their customer service is also very good. The Kilted Legs can be found here. 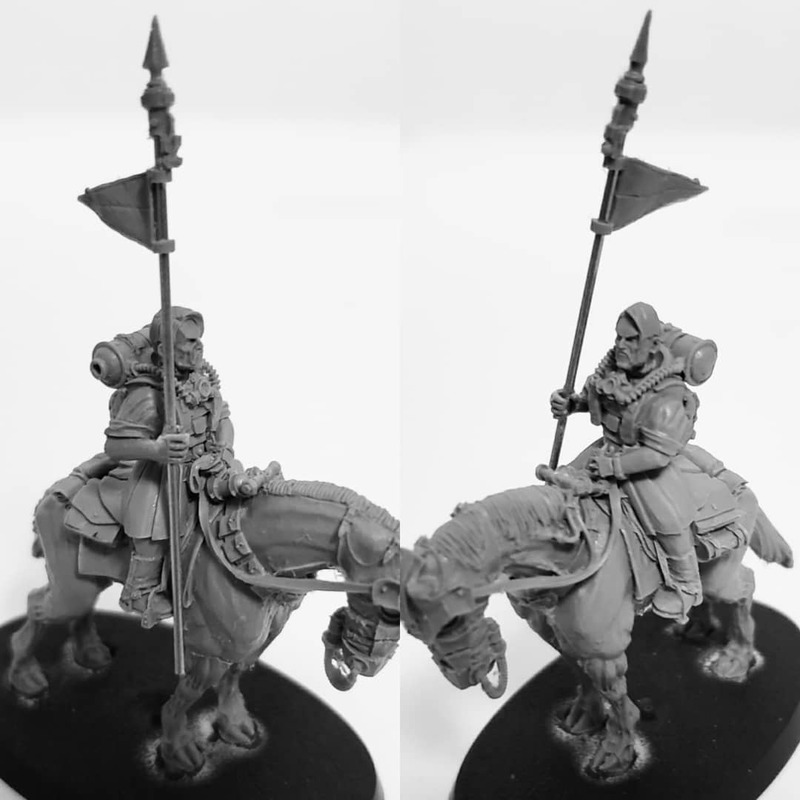 These Torsos are what I used on my Fen Riders. 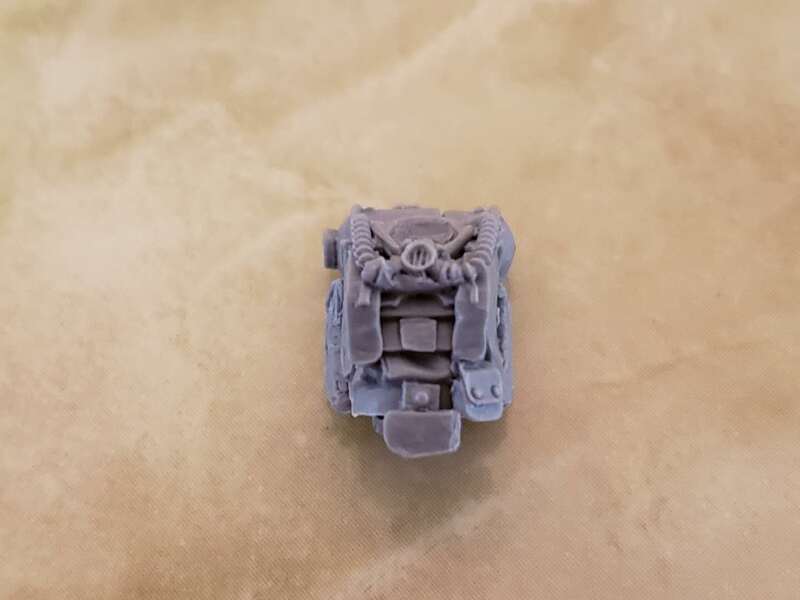 It started life as a Cadian Torso before webbing was sculpted on, and the Victoria Miniature Gas Mask blended into it. I went through many options until I settled on what pattern lasgun to use. 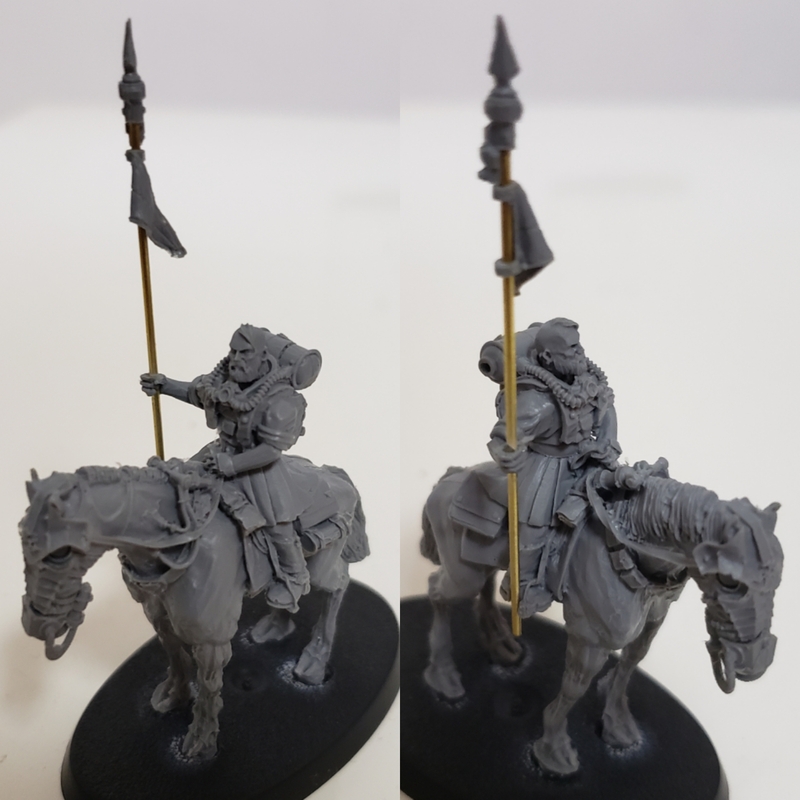 Catachan versions were too “heroic scale” for the rest of the miniature. 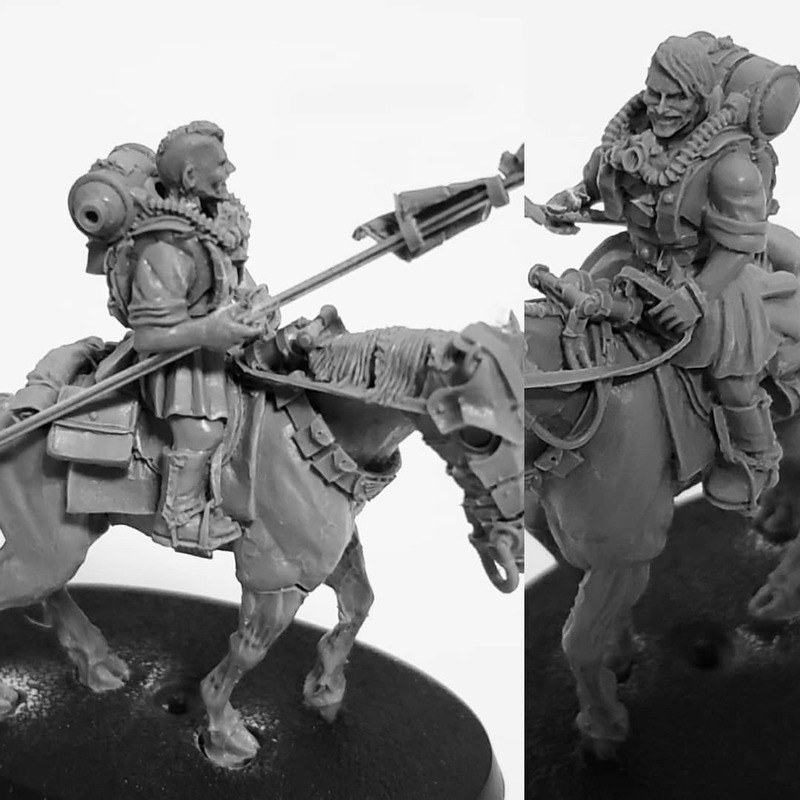 Third party options didn’t fitthe feel so I eventually settled on the Forgeworld Death korps version, which can be found here (I will use their pattern weapons except for the grenade launcher). 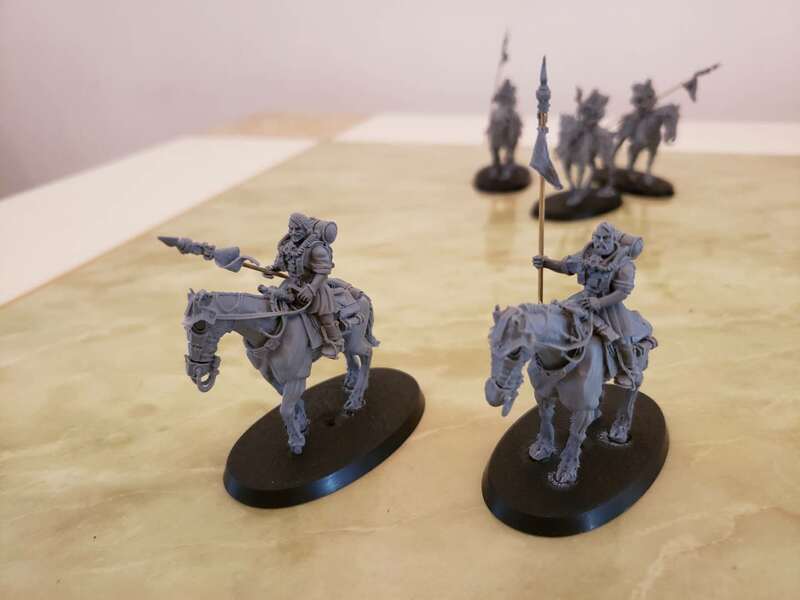 With the parts that have arrived, I have quickly started converting a few members of my company command. 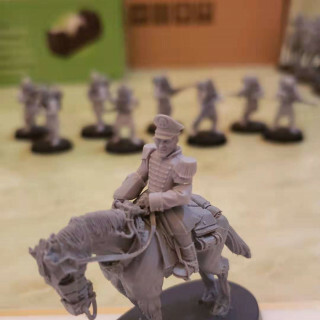 Below arepictures of the Officer and the Commissar. 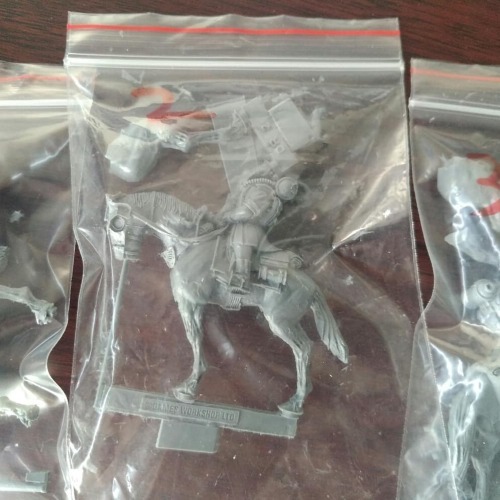 The Commissar will most certainly be receiving a cape, as well as a lot more greenstuff.